We manufacture and install our own all-wood line of custom cabinetry, which also features custom finishes. We offer quartz, granite, corian, wood, and laminate tops. Our full-time sales staff have decades of collective experience and are ready to offer their expertise in planning the cabinetry for your home. When you're ready to update your current kitchen or get a brand-new one, depend on Zinn. 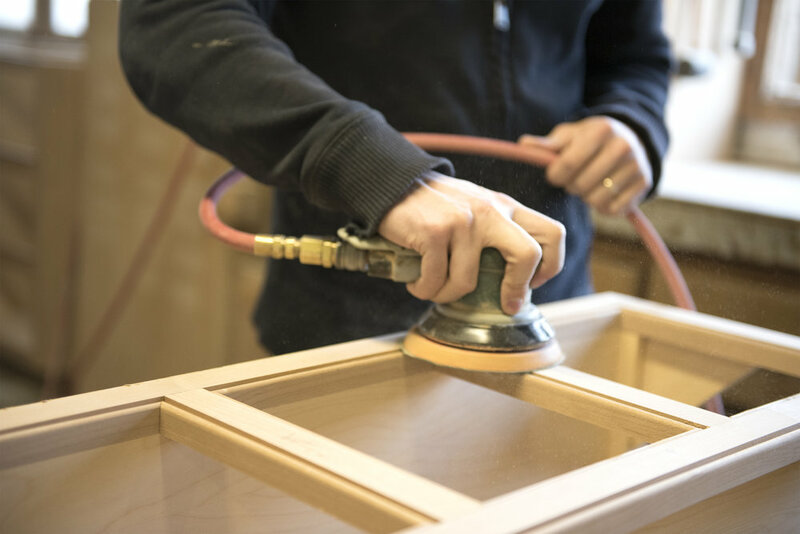 We'll build high quality, hand-crafted cabinets, designed just for you. Your Zinn kitchen will be entirely custom built. (We have no standard units.) With your input, one of our sales/design representatives will create a kitchen to fit your particular needs, tastes and lifestyle.